GREENVILLE, Mississippi— In keeping with the long-held dream of my sister, our family Jeanne-e-ologist, she, our mother and I set out on a trek through several southern states to search for the identity of our maternal great, great grandparents. Our great grandmother Clara was orphaned in 1881 at age three and taken in by a kind family in Tennessee. A prankster with an insatiable sense of humor, Clara did not allow her misfortune to dampen her spirit. She was forever pushing the envelope, willing to try most anything to tickle the funny bone of those around her. 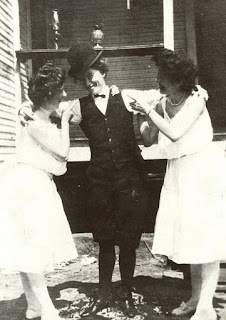 On a lark, she dressed in men's pants in the 1904, an act unheard of for women. Another day, she dyed the family poodle blue to amuse her children and the neighbors. We have another family photo in which she is posed standing inside a barrel, holding a baby goat, with her children around her. Clara was always fun to be with and a master of practical jokes. For a reason we don't understand, Clara never revealed the names of her parents to her daughter, our grandmother. Perhaps she didn't know their names. Or maybe she just thought of the couple who took care of her as her parents. Her son does bear the name of Clara's foster father. Nonetheless, with four children and ten grandchildren of her own, Jeanne treasures family history, and she craves those missing names to fill in the blanks on the family tree she has been growing since a high school assignment planted the seed and fostered an interest in genealogy 45 years ago. So off we went on a stunningly beautiful autumn day to dig for our roots. Our first night was to be spent in Greenville, Mississippi, not because it was of any significance, but the location was convenient. 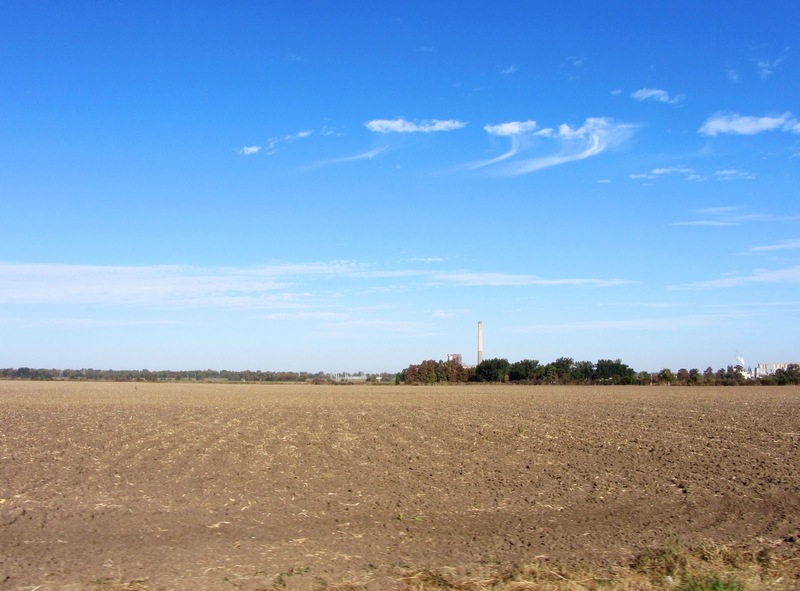 However, Jeanne informed us that if we spent the night there, we were obligated to learn something about the city, which we discovered is known as "The Heart and Soul of the Mississippi Delta." The current city is actually the third to bear the Greenville name. The first Greenville, near Natchez, never made it much past its founding just after the American Revolution. 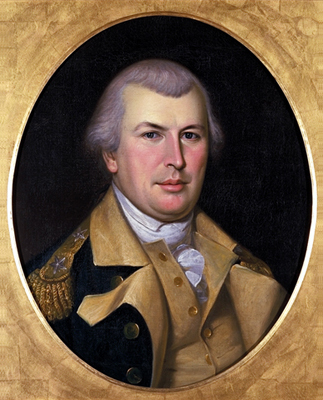 Parent to the current city, the second Greenville was named for Nathanael Greene, a hero of the American Revolution who entered the continental army at the lowest rank, militia private, and left the service at the end of the war with the title of major general and the reputation of being one of George Washington's most trusted officers. Many places in the United States are named for this famous son of Rhode Island. Founded in 1824, the second Greenville was a thriving town when the Civil War arrived, a center of culture and business for the large plantations that prospered from the rich soil of the Delta. When Union troops laid siege to Vicksburg downriver, federal troops landed in Greenville. Taking offense at being fired upon by locals, the Union forces set fire to the city and burned every building as the city's inhabitants took refuge in the homes of area planters. After the war, locals determined to rebuild the town of Greenville three miles from its former location, selecting the highest point on the Mississippi River between Vicksburg and Memphis. Protection from Another Enemy: Though founders of the third Greenville had perched the city on a high point, in April 1927, the mighty Mississippi overran the city, covering it with 10 feet of water when the levee built earlier in the decade by the Corps of Engineers, collapsed. For 60 miles to the east and 90 miles south, the Delta became a churning, turbulent inland sea. Bent on preventing such incursions in the future, the Corps rebuilt the levee to hold back 75 feet of water. "Longer and taller than the Great Wall of China," according to local descriptions, the levee was severely tested in the 2011 spring floods and barely contained the river’s raging waters. Visitors to the city can view this engineering marvel on Greenville’s downtown waterfront. which state law requires to be located in, on, or above water. 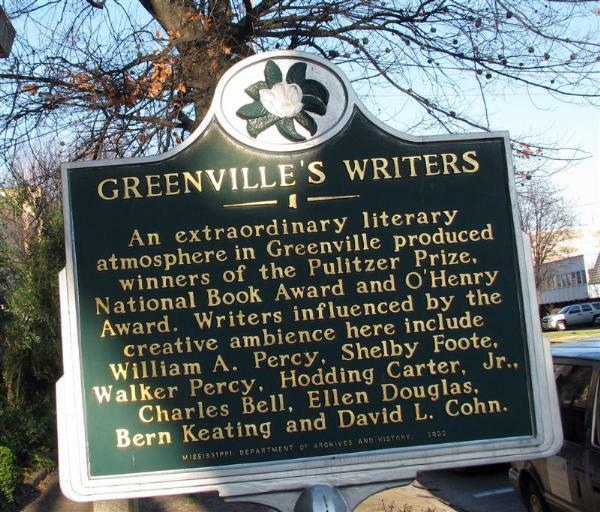 Greenville Writers: Although Monroeville, Alabama, and other communities would no doubt challenge their claim, Greenville's city web site boasts that the city has produced more writers per capita than any other location in America. 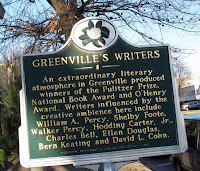 Among the well-known authors who identify the Greenville area as their home are Shelby Foote, Walker Percy, Ellen Douglas, Bern Keating, Beverly Lowry, Willie Morris, and Hodding Carter. Even William Faulkner was said to be a frequent visitor and occasional resident of Greenville. Other notable natives of Greenville include Jim Henson, the puppeteer who fathered Kermit, Miss Piggy, and the other Muppets, and Mary Wilson, one of the original singers in the Supremes. Bearing Witness: Greenville's Live Oak Cemetery was the site of our final history lesson in this Delta city. This humble graveyard is the final resting place of Holt Collier, a hunter, soldier, and Mississippi legend. 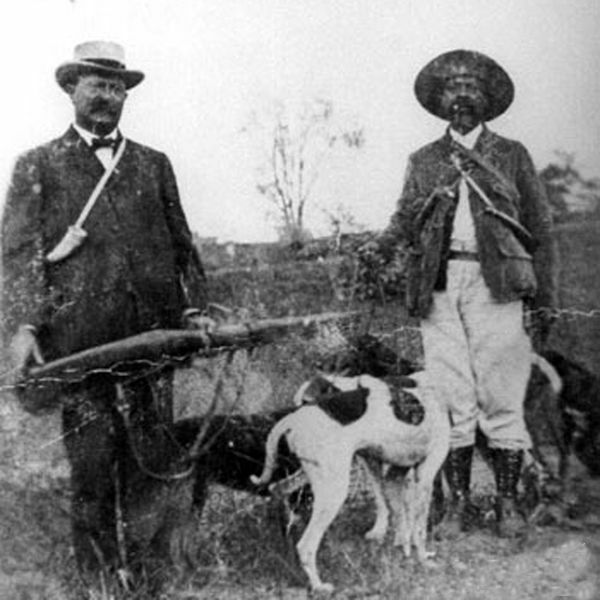 Born a slave in 1846, Collier had established a reputation as a wildlife expert and great bear hunter by the time he reached his teens. Granted his freedom at the outbreak of the war, Collier enlisted as a sharpshooter and guide in a Texas brigade of the Confederate army. After the war, he often served as a guide to hunters, most famously to a party that included President Theodore Roosevelt in 1902. Well-known as a naturalist and hunter, the President accepted an invitation from Mississippi's governor to visit the state for a little bear hunting. According to legend, the night before the hunt, Roosevelt had expressed his desire to see a live bear the next day, and Collier had promised to fulfill this wish. Early the next morning Collier's pack of hounds picked up the scent of bear and chased their prey into a swamp, only to suffer a mauling at the paws of the 235-pound male. Legend has it that Collier knocked the bear unconscious to save his hounds and tied it to a tree before summoning the rest of the party with his hunting horn. Seeing the tethered and injured bear, the President declined the offer to claim it as his prize and refused to shoot the animal, though he did insist that it be euthanized. Journalists on the scene reported Roosevelt's refusal to kill the defenseless bear, and the incident was portrayed in a political cartoon, "Drawing the Line in Mississippi." The cartoon was reproduced in many newspapers, often with a revised drawing in which the bear was depicted younger and younger. All this hoopla caught the attention of a Brooklyn, New York, toy store owner, who began marketing his stuffed toy bears as "Teddy" bears in honor of Roosevelt's forbearance. Of course, the name stuck and the plush toys continue to bear the name today. Having discovered all this history, we had to agree that Jeanne was right in her insistence that we absorb a little local lore before moving on. Driving through Mississippi on US-82, we saw many huge fields that had been harvested, uncovering the rich loamy Delta soil. The soil looked so lush that you could spit out a pumpkin seed today and have a pumpkin patch by next week. Another constant on this route was the sound of insects smacking against the windshield. Even though summer has passed and temperatures have been dropping into the low 40s, the many rivers, swamps, streams and bayous in the area provide a haven for a host of insects that live in or near the water.